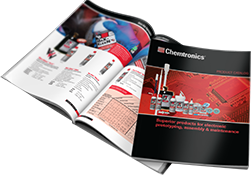 Chemtronics® offers several different options when it comes to dusters that are each designed with a specific purpose in mind. Use the selection guide below to help you find the right duster for your job or feel free to browse our full line of dusters here. Click on nombre del producto for details. * Force generated measured without extension tubes on Shimpo force gauge. ** Global warming potential (GWP) is calculated based on a 100 year time horizon. Carbon dioxide has a GWP of 1.